Home Smartphones [PRICE DROP] Get the ASUS Zenfone 2 Laser 5.5 for only Php7,995! 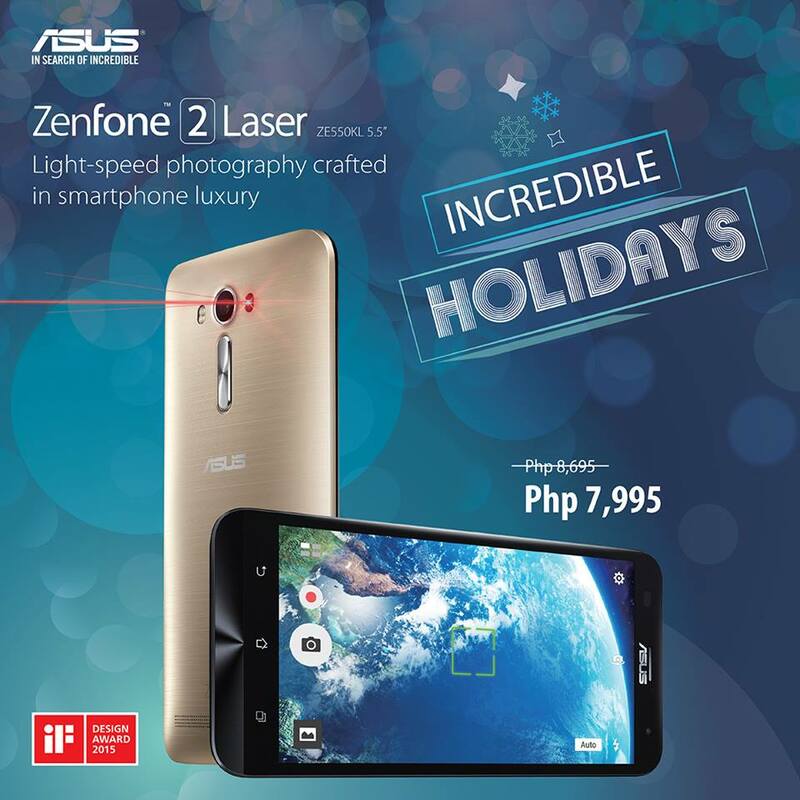 [PRICE DROP] Get the ASUS Zenfone 2 Laser 5.5 for only Php7,995! ASUS Incredible Holidays start early! Get the Zenfone 2 Laser 5.5 now at Php7,995! Powered by 1.2GHz 64-bit Quad Core Snapdragon 410 processor with laser auto-focus technology as fast as 0.03 seconds, twice (2x) the drop damage resistance with Corning Gorilla Glass 4 Protection, 5 Magnetic Speakers for 41% louder and less distorted sound, up to 17 hours battery life and 13MP PixelMaster Camera with f/2.0 aperture.